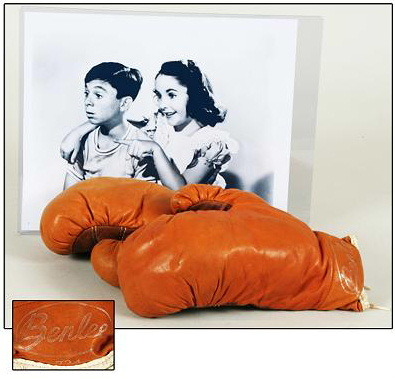 Shown is a pair of vintage children's Benlee boxing gloves that were issued to the set of the original "Little Rascals." The gloves were used by various cast members in a myriad of films. One such example is shown below.